Picturesque Thunder Valley MX Park hosted the third round of the Lucas Oil Pro Motocross Championship, sanctioned by AMA Pro Racing, on Saturday, producing two new winners for the 2012 season at the Toyota Thunder Valley National. Following back-to-back runner-up finishes to start the season, Red Bull KTM’s Ryan Dungey, of Belle Plaine, Minn., emerged victorious, capturing a 1-1 moto sweep to give the Austrian brand its first overall victory in the 450 Class. In the 250 Class, GEICO Honda’s Justin Barcia, of Monroe, N.Y., ended a 27-race winless streak to capture his second career win. In the opening moto of the 450 Class, James Stewart, of Haines City, Fla., worked his way from a third-place start to take over the lead on Lap 2. 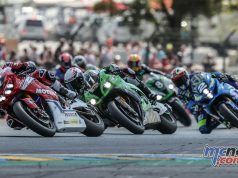 However, just two laps later, the Team Yoshimura Suzuki rider went down as he looked to open a gap on the field, failing to finish the moto and appearing to favor his hand. With Stewart out of action, Dungey took over the lead on Lap 4 and went on to take an easy moto win, his first of the season, and put himself in position for the overall. The effects of his first moto crash forced Stewart to sit out Moto 2 as well, losing the points lead with no points recorded. As the gate dropped, Dungey grabbed the holeshot, quickly pulled away, and dominated en route to securing the overall victory. Monster Energy Kawasaki’s Jake Weimer, of Rupert, Idaho, recorded a career-best second place finish (2-4), while Colorado native Andrew Short, of Colorado Springs, gave Team Chaparral Honda its first podium finish in third (7-2). Stewart dropped from first to third in the championship standings and his status for the remainder of the season is uncertain. He entered the weekend with an undefeated record, winning all four motos through the first two rounds. Dungey currently holds a 35-point lead over Weimer in the championship standings. In the 250 Class, Barcia started his day off strong by winning the first moto. Barcia took the lead from the start and ultimately stayed out front for all 16 laps, fending off the pressure of Red Bull KTM’s Ken Roczen, of Germany. In Moto 2, Barcia asserted himself out front again, looking for the moto sweep. The Honda rider led the first six laps, but was passed by points leader Blake Baggett, of Grand Terrace, Calif., aboard his Monster Energy/Pro Circuit/Kawasaki. While Baggett pulled away, Barcia once again engaged in battle with Roczen, this time for second. Roczen eventually worked his way past Barcia, putting Baggett in position to claim his second overall victory of the season. However, on the final lap, Roczen and Barcia battled again for second, ending with Roczen falling to the ground and allowing Barcia to retake the position and ultimately the overall win. With his second moto win, Baggett secured the runner-up spot for the second week in a row (3-1), while Roczen rebounded to round out the overall podium for the third consecutive round (2-4). Baggett holds a 16-point lead over Barcia in the championship standings. In the Women’s Motocross Championship, Rockstar Energy Racing Suzuki’s Jessica Patterson, of Tallahassee, Fla., swept the day’s motos to claim her second overall win of the season and extend her points lead. Troy Lee Designs/Lucas Oil Honda’s Tarah Gieger, of Puerto Rico, finished second (3-2), while Team Honda Muscle Milk’s Ashley Fiolek, of St. Augustine, Fla., overcame a fall in the second moto to finish third (2-6). The 2012 Lucas Oil Pro Motocross Championship continues next week, with round four from High Point Raceway in Mt. Morris, Pa., and the FMF High Point National, presented by United Bank, on Saturday, June 9. 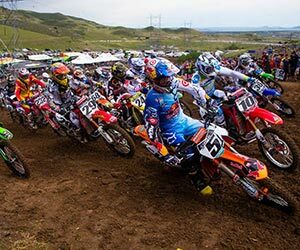 Thunder Valley MX Park – Lakewood, Colo.